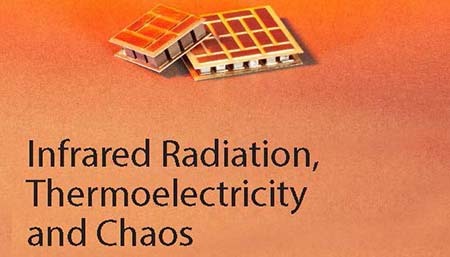 The interaction between infrared radiation and a power generator device can be used to produce voltage and current. This phenomenon is called infrared power generation. It is shown that the infrared radiation transfers both thermal and electric energy to the power generator device. The coexistence of a thermal and an electrical component signifies that the temperature difference between the faces of the power generator devices is not a limiting factor to the amount of power that can be produced. Indeed, many avenues can be explored to increase the power for infrared energy harvesting purposes for military and civil applications. The existence of an electric component in the transferred energy also has interesting manifestations, such as the appearance of non-linear phenomena e.g. solitons, and fundamental consequences, which will be discussed.